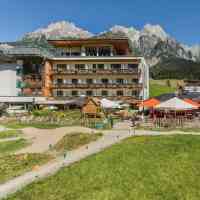 Find everything you want from a successful family or sport holiday in the province of Salzburg at your hotel in Leogang - from the restaurant to the modern spa area to the sports options right outside the door. Plus: Near the hotel, in Salzburg, Kitzbühel and St. Johann in Tyrol, there are many dreamy christmas markets, perfect to turn your christmas mode on. 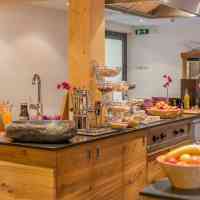 Start your day of new experiences with a great breakfast buffet at the Hotel Bacher in Leogang. Prepare yourself for sporty highlights with a fully-fledged breakfast or take things easy with an extended late-riser breakfast until 10 am. During summer we also treat you to a lunch snack as part of our special package deals. Experience the full range of regional and seasonal food during the 4-course set menu in the evening alongside a crisp, fresh salad buffet. 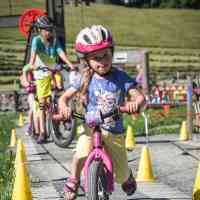 You can exert yourself athletically all year in the mountains and valleys around Leogang in the province of Salzburg. 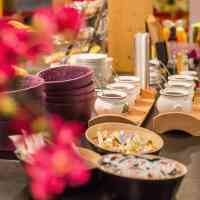 As soon as you return to the Hotel Bacher, it’s all about the spa. Look forward to the sauna world with 200 m² in modern design, and the amazing panoramic view from the heated infinity pool on the hotel roof. Find deep relaxation and get everything out of each and every holiday minute with pleasant massages and spa treatments. When the children are happy, parents have great holidays too. We, your hosts, are parents ourselves and understand what’s hot and what’s not during a family holiday. 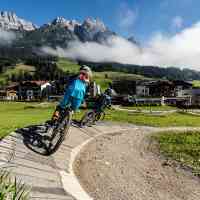 Your kids will find lots of options for sport, games and fun right outside the hotel in both summer and winter, from the children’s bike park to the Villa Kunterbunt to the skiing area and the children’s ski school. Tip: Benefit from our reasonably priced family packages and attractive children’s discounts. 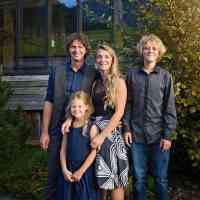 We, Joe & Christine with our children Felix & Leni, run the Hotel Bacher as a family business in the second generation. 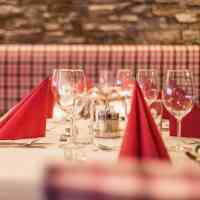 It all started in 1972 when Josef & Anna founded the restaurant "Asitzstüberl". In the following years the original inn was constantly extended. 1980 followed the first guest rooms, 1997 the Après Ski Bar "Outback" and finally 2014 our infinity panorama pool. Your well-being comes first for us and our team. 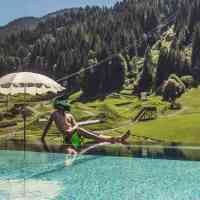 As enthusiastic athletes, we look forward to introducing you to our home and Pinzgau specialities.